With the trade deadline fast approaching, we will be taking a closer look at the situation for each team over the coming weeks. Where do they stand, what do they need to do, and what assets do they have to fill those needs? We start with a look at the Vegas Golden Knights. This is a somewhat different year for the Vegas Golden Knights who took the league by storm last season in route to a Stanley Cup Finals appearance. While Vegas remains playoff bound as they are firmly entrenched in third place with 62 points. However, this Vegas team has shown inconsistency throughout the year. While it looked like the Golden Knights had turned the corner throughout December and January, the team suddenly finds itself in a four-game losing streak with the Tampa Bay Lightning in front of them next. After trading a first, second and third-round pick to acquire Tomas Tatar at the deadline, who turned out to be a major disappointment, the team might be more reluctant to make a big trade at the deadline and may be more inclined to just add some depth options this time around. Perhaps the biggest trade chips that the Golden Knights possess are their draft picks. General manager George McPhee has already sent off quite a few to acquire Tatar and then flip him along with top prospect Nick Suzuki and another second-rounder to pry Max Pacioretty from Montreal. However, as the team keeps an eye the future, the team also full well knows it may not want to move any more of their top picks in the next few years. That doesn’t mean they don’t have some later picks that they could move, including three third-rounders this year and three second-round picks in 2020 if they want to add some depth to their team. If they really want to make a splash, the team could include a first-rounder, but they may be reluctant to do so. The team also has significant cap room, although that has been slowly disappearing. The team still has to lock up center William Karlsson, who will be a restricted free agent against after signing a one-year deal, but the team has all their key players locked up for at least the next two years, so they could take on an expensive contract for a discount. The forward lines look pretty set even without Erik Haula, who could miss the entire season, but the team has a number of depth forwards who they could move like Oscar Lindberg, Ryan Carpenter or even Tomas Nosek to free up a valuable roster space. The question is whether other teams would be interested in any of those options. Carpenter could be of value to a team needing a bottom-six depth option, while Nosek is still young enough to offer some potential. 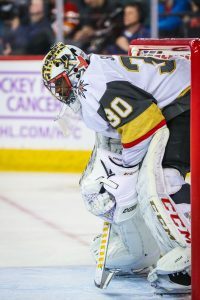 As for defense, while the team could use an upgrade, the Golden Knights already traded away Brad Hunt, suggesting they are unlikely to move another defenseman now and although they have several interesting young defenseman waiting in the wings in the AHL, it’s unlikely the team is going to move out a player to make space for a prospect. 1) Top-Four Defenseman: While the team doesn’t really need a big-name forward at the trade deadline, defense could be a different matter. The Golden Knights defense is good, but the team was almost desperate to acquire Erik Karlsson last season from Ottawa, but came up just short. They followed that up by adding Nick Holden during the offseason, but that’s hardly the answer either. With Deryk Engelland starting to show his age, Holden struggling and star prospect Erik Brannstrom not yet ready to contribute, the team could use a defenseman that can help protect goaltender Marc-Andre Fleury. 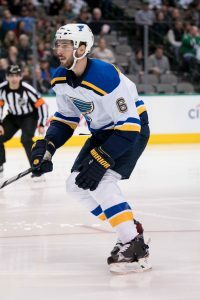 Plenty of rumors seem to have Vegas focused on one of St. Louis’ top defenders, including Alex Pietrangelo or Colton Parayko, but the team would obviously have to move more than a few middle-round picks to acquire either of them. 2) Back-up Goaltender: Vegas has struggled finding a solid backup. While Subban has the skills, the 25-year-old is just 2-5 this season with a 2.95 GAA and a .904 save percentage and is currently injured. On top of that, he has made just eight appearances this season, which isn’t really helping a 34-year-old Fleury who has already appeared in 46 games this season, the same number he played in during the regular season a year go. With no prospects in the wings, it might make sense for Vegas to go out and get a Keith Kinkaid, Jimmy Howard or another veteran goalie to fill the void for the remainder of the season and give them an option to re-sign them this summer if they work out. With the trade deadline fast approaching, we will be taking a closer look at the situation for each team over the coming weeks. Where do they stand, what do they need to do, and what assets do they have to fill those needs? As we continue with the Central Division, here is a look at the St. Louis Blues. Alex Pietrangelo? Vladimir Tarasenko? Colton Parayko? Sorry, but they aren’t going anywhere. The St. Louis Blues have quietly climbed within three points of a playoff spot and the early-season panic is over. Granted, the team is still in the middle of a cluster of teams fighting for just a few postseason berths, but the Blues have games in hand on the whole bunch and have been playing some of their best hockey lately. St. Louis is now a legitimate threat to slip into the playoffs and, once there, could do some damage. In fact, the potential on paper of this team is yet another reason why a fire sale is unlikely. There is no excuse for their first half failures, but many, including their own GM Doug Armstrong, have expressed optimism about what this core can do next season. They may have considered tearing it all down at one point, but that’s no longer a realistic possibility. With that said, the Blues have fallen short of expectations all year long and no one would be surprised if they do in fact miss the playoffs this year. As such, they need to hedge their bets and continue to take offers as a seller. The team has a handful of impending unrestricted free agents they can trade, as well as others that they may entertain moving. The bulk of the St. Louis lineup isn’t going anywhere and will continue their playoff push, but Armstrong and company are likely to move out some extraneous pieces and play both sides of the market as the trade deadline approaches. Brayden Schenn is a name that just won’t go away. Even as the Blues’ play has improved of late, Schenn’s name continues to bounce around the rumor mill. The 27-year-old center broke out for 70 points last season, but is back to his regular 50-point pace, if that, this year and has been an underwhelming presence this season for an underachieving team. Logic would dictate that if the Blues want to keep their core intact for another try next season, they’ll refrain from moving Schenn. However, if the market interest forces his hand, Armstrong will move the talented forward, who has one year remaining on his contract, for the right price. The same goes for winger Jaden Schwartz. Once the epitome of consistency and clutch in the Blues’ lineup, Schwartz, 27, has been streaky and largely ineffective on offense this season. His 21 points thus far is one of the biggest disappointments of St. Louis’ season. Schwartz has quietly continued to be a solid two-way force for the Blues though, even if it doesn’t show up on the score sheet. Schwartz has shown immense talent previously and his trade value is at an all-time low. Maybe he does just need a change of scenery, but Armstrong is unlikely to sell low on the two-way forward this season. Not every trade decision will be as difficult as Schenn and Schwartz. For example, veteran forward Patrick Maroon has been an utter failure this year for St. Louis and is all but gone before the deadline. Earlier this month, it was rumored that Maroon was likely to be dealt when his full no-trade clause expired at the end of January. In the nine games since the report, Maroon has one lone goal. Hometown product or not, the Blues are likely to move Maroon – who has proven before to be a deadline commodity – for the best offer. Veteran grinders Jordan Nolan and, to a lesser extent, Chris Thorburn could also have value on the market and their absences would mean little to the Blues. Defensemen Jay Bouwmeester and Carl Gunnarsson have not struggled like Maroon, but are also likely goners as impending UFA’s. Bouwmeester, 35, is a respected veteran around the league but has undoubtedly slowed down over the past couple of seasons. He’s currently fourth among St. Louis defenders in time on ice and has the worst plus/minus of the group. Bouwmeester isn’t going to be extended by the Blues, but he’s also still a serviceable and experienced blue liner who could help a true contender. He’s worth more elsewhere than he is for this fringe St. Louis team. The same goes for depth defender Gunnarsson, who has actually been a quite effective possession defenseman in limited opportunity this year, but has a higher value as an added option to a contender than to a team that may not make the playoffs. Jakub Jerabek and Chris Butler are also impending UFA defensemen who may have some slight value on the market. Don’t be surprised if 25-year-old Jordan Schmaltz has his name thrown around too; the Blues have made no effort to get him NHL minutes and he could use a new opportunity. One of the major issues of this St. Louis team is underachieving forwards and it’s not just the veterans. Sure, the Blues might like to move Alex Steen or Tyler Bozak, but no-trade clauses alone will limit that possibility. The team would be far more likely to find takers for some of their disappointing young forwards, of which there are many. Robby Fabbri, Zach Sanford, Ivan Barbashev, Nikita Soshnikov, and Sammy Blais are all getting too old to be called prospects, but have yet to prove themselves as difference-makers in the NHL. Each one is an impending restricted free agent this summer and the Blues likely don’t plan to bring the whole group back. St. Louis could benefit from swapping out a young forward or two of their own for other teams’ disappointing forwards in hopes that a new system can turn their game around. 1) Scoring Depth: Obviously, goaltending is the biggest long-term concern of the Blues, but that isn’t going to be addressed at the deadline this year. Next in line then is scoring. As previously mentioned multiple times, one of the fatal flaws of the Blues this season has been a lack of scoring and disappointing efforts from too many regular forwards. St. Louis is 22nd in goals for this season and, even if the veteran core returns to form this season, the fringe pieces lack some upside in the production department. As the team moves out forwards from the roster, old or young, the Blues could benefit from taking a waiver on other teams’ frustrated young forwards to test this season for whether there is a there is a fit moving forward. The Washington Capitals’ Andre Burakovsky, the Vancouver Canucks’ Nikolay Goldobin, or the Montreal Canadiens’ Charles Hudon could all be intriguing options. Finding another name to add to the blossoming next wave of Robert Thomas, Jordan Kyrou, Klim Kostin, and Dominik Bokk should be a priority. 2) Top Prospect Defenseman: In the course of making possible trades of Schenn or Bouwmeester or a young forward, Armstrong would be smart to target a top young defender in the return. The Blues have some nice 25-and-under pieces on the NHL blue line right now, but the AHL unit lacks much upside and the organization does not really have a blue chip defenseman in the pipeline other than collegiate rearguard Scott Perunovich, who will already be 21 next season when he begins his junior year at the University of Minnesota-Duluth. St. Louis has many exciting, talented forwards waiting to take over a role in the NHL; the team desperately needs to add a defenseman into that group. If they can’t find one via trade, they should focus on the draft and adding picks to make up for their first- and fourth-rounders this year. Poll: Which Defenseman Is Most Likely Traded This Season? The NHL holiday transaction freeze is just a few days away, and while there is an increased level of chatter among league front offices in comparison to recent years, there’s no guarantee any blockbuster trades are made. Those could very well wait for after the freeze is lifted at the end of December, and in the following two months before the 2019 trade deadline. Like every year, contenders are looking for defense. Teams like Toronto and Edmonton led by superstar forwards, could use an upgrade in their own end. Unlike most years though, there may be several high-end defensemen available. What is usually an extreme shortage may actually be in ripe supply this year, and Colton Parayko could be the crown jewel. Parayko leads Frank Seravalli’s latest Trade Bait board for TSN, despite much of the speculation around St. Louis focusing on Alex Pietrangelo instead. Parayko is an obvious target if he is truly available, given his age and immense upside. Everyone who watches the 6’6″ defenseman play can see what a monster he could become if he puts everything together, and at just 25 years of age there is plenty of time for that to happen. The right-handed Parayko has 111 points through 271 games in his career, but likely has even more offensive ability to show in the right situation. That also means he would cost a boatload from any acquiring team, especially given that he’s under contract through 2021-22 at a reasonable $5.5MM per season. It’s the depth of potentially available defensemen that is so striking though, as Los Angeles Kings duo Alec Martinez and Jake Muzzin both find themselves on Seravalli’s list along with Brett Pesce and Justin Faulk, two right-handed options from Carolina. Those three teams—St. Louis, Los Angeles and Carolina—could create quite a market for desperate buyers, but also could drive each other’s prices down because of heavy supply. There’s obviously going to be some moves before the trade deadline later in the season, but which high-end defenseman is most likely to be traded? Who will be first? Cast your vote and leave a comment down below detailing who you think will step up and pay the price. Considering the amount of veterans this team has, its surprising to see so many young players on the team as the Blues have done a nice job over the years of drafting quality players and developing them. Perhaps the most interesting of the lot will be Thomas, the team’s first-round pick in the 2017 draft. The 19-year-old dominated his junior league last season and many people believe he has a great shot at winning a roster spot this season as the team feels that there is no reason to return him back to his junior team. The team also has Kyrou, another top-rated prospect, but the team is more likely to send him to their AHL affiliate as he no longer needs to be returned to juniors. Regardless, however, if he fares well, he could see time with the Blues throughout the season. Dunn has been a major revelation after surprising a few when he made the Blues out of training camp last season. He had a remarkable season, playing solid defense, producing five goals and 21 points and eventually quarterbacked the team’s top power play line. The team may also start seeing more of Husso, who is their goalie of the future, but needs more seasoning in the AHL. The 23-year-old had a .922 save percentage in 38 games in the AHL last year. Other interesting prospects include Sanford, Barbashev and Blais who will have to fight for playing time, but all have the skill to work their way in at some point this season. The team should find themselves with extra money next season as the contracts of several defenseman expire, including Bouwmeester’s $5.4MM deal and Gunnarsson’s $2.9MM. Both have been excellent players in the past, but the with emergence of younger defensemen, the team is likely to move on from them or look for them to return at a significantly reduced rate. Some of that available money could end up in the hands of Edmundson who has done an excellent job of replacing Bouwmeester on the top defensive line. The team also will be keeping a close eye on Fabbri, who has spent much of last year training and conditioning his knee for the upcoming season after undergoing two procedures on his knee. If the scoring winger can stay healthy, he could provide the Blues with an extra dose of offense they weren’t counting on. The team also has high hopes for Maroon, who opted to take less to return home to St. Louis this year. There are rumors that the team will reward him next season for being willing to accept much less than he was worth. Johnson has been working on one-year deals for a little while, but the veteran backup could be needed if Allen falters in goal this year. 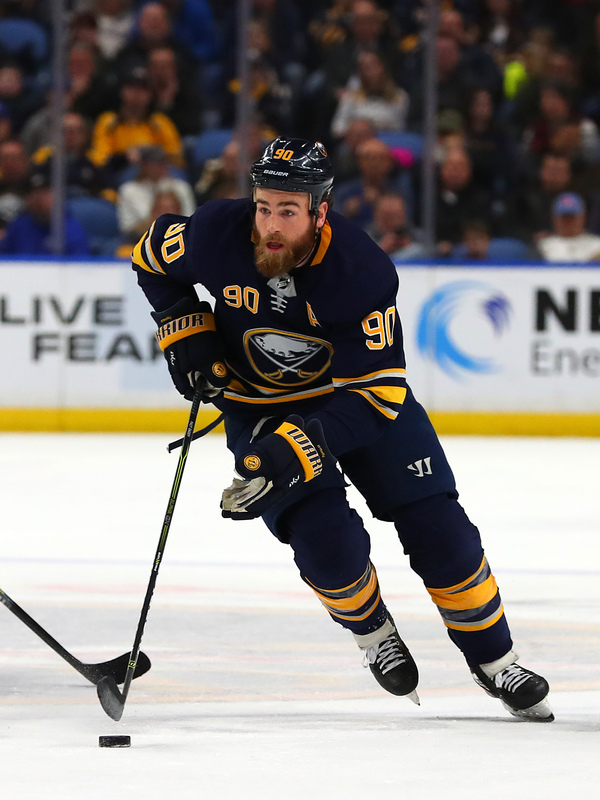 While his numbers in Buffalo were horrible, many believe that he could easily bounce back considering the quality defense he’ll have in front of him in St. Louis. The team has been thrilled with the play of Pietrangelo, who continues to improve offensively as the team’s No. 1 defender. He is used that way too as he averaged 25:44 of ice time last year, ranking him sixth in the NHL. The 28-year-old has now posted double-digit goals for the second straight years and posted a career-high 54 points this season. He’s finally receiving that respect around the league as he was voted to the all-star game as well as got some consideration for the Norris Trophy this past season. Allen has been under a microscope after struggling during stretches of the past two seasons. The 28-year-old especially struggled last year, posting career-lows in goals against (2.75) and save percentage (.906). The team needs him to find himself and return to the form that he once had. If he fails, the chances of the Blues reaching the playoffs would definitely be in jeopardy. However, if he can prove to be both healthy mentally and physically, he could help vault the Blues much deeper in the playoffs. The team has a potential replacement in Husso down the road, so Allen is starting to run out of chances to prove his worth. Schwartz was producing at an impressive rate before going down with a broken ankle last season which forced him to miss 20 games. However, he paired well with Schenn and will likely move to the second line along with him. However, despite missing 20 games, it’s obvious he would have had career highs in goals and points. He finished the season with 24 goals and 59 points, which are just shy of his career-highs. If the 26-year-old can keep that type of play up, the team should have a high-end second line. Steen, however, is heading in the other direction. With still three years left on his deal, the 34-year-old continues to see his offense fade as he finished last season with 15 goals and 31 points and could see himself heading for a bottom-six role. The addition of Bozak will be an interesting one. The 32-year-old should provide the team’s third line with a high-impact center. While his numbers aren’t that impressive, he does set up his wingers fantastically well and should be a welcome veteran presence for the next few years. The team went out and paid a significant price to trade for the disgruntled O’Reilly, which now gives the team the No. 1 center that they need. His addition should hopefully help Tarasenko develop into that superstar that everyone believes that he can be. The hope the two (along with Maroon) should form one of the best first lines in the NHL. O’Reilly produced 24 goals and 61 points, but could also see his game elevated in the pairing with Tarasenko, who had a slight down season as he scored just 33 goals, which is below his usual averages. Both are still in their prime and should be anchoring that top line for years to come. Parayko has really developed into an impressive defenseman. The 25-year-old continues to improve his offense, while providing impressive defense throughout. He still has a lot of room to grow into his 6-foot-6 frame, but the team has high hopes his development will continue. Perron also adds a key element to the team. The former Vegas Golden Knight posted a career-season with the expansion team and showed incredible passing skills there and could find himself working with Schenn and Schwartz on the team’s second line. Considering all the team’s depth and veterans, the Blues aren’t that bad off when it comes to long-term contracts as they have few and those that have them are phenomenal players in their prime. The team should be in good depth both offensively and defensively as they have quite a bit of fire power, but also depth as the team is loaded with lots of young talent, many of which will be forced to play in the minors until the team needs them. If the team can continue to develop that youth along with the veterans, they should be an impressive team in a talented Central Division. The only worry is whether they can get Allen to play the way they need in goal. The St. Louis Blues got some good news today as goaltender Jake Allen, who has been out with back spasms and was expected to miss the first 10-14 days of training camp, said that he’s already feeling better and could return to the ice ahead of schedule, according to Tom Timmermann of the St. Louis Post-Dispatch. The team needs a big season from the 28-year-old after a rough season last year. The veteran posted a career-low 2.75 GAA and a poor .906 save percentage as the Blues missed the playoffs. Allen changed his training routine this summer and was primed for a big year as the Blues redesigned their roster this offseason. St. Louis Blues defenseman Colton Parayko has been a solid defenseman in St. Louis for years, but after agreeing to a five-year, $27.5MM contract a year ago, the team was hoping that he might have a breakout season last year. While that didn’t happen, Parayko might get that opportunity this year, according to Fox Sports’ Andy Strickland, who reports that Parayko has come to camp in great shape, finishing near the top in off-ice testing. If he’s in the best shape of his career, a big year could follow. Scott Powers of The Athletic (subscription required) writes that Chicago Blackhawks defenseman Henri Jokiharju has looked good early in training camp. The 2016 first-rounder played alongside veteran Duncan Keith and was both aggressive and helped create chances on offense. The team, desperately in need of defense, could get a huge boost if the 19-year-old proves that he’s indeed ready for the NHL. He scored 71 points in 63 games with the Portland Winterhawks of the WHL last season. Sean Shapiro of The Athletic writes that one of the biggest beneficiaries of the Stars’ addition of new head coach Jim Montgomery will likely be young defenseman Julius Honka. The 22-year-old has regained his confidence after losing last season and has already impressed his new head coach, who hopes the 2014 first-rounder might be ready to make a significant impact in the Stars’ defense. BSN Denver’s AJ Haefele writes that Colorado Avalanche head coach Jared Bednar said Saturday that he wants defenseman Samuel Girard to start this season with veteran Erik Johnson after the way Girard finished the season last year. The 20-year-old finished the season with four goals and 23 points between Nashville and Colorado and showed the ability to develop into a top-four defenseman. However, there is still a lot of time in camp before that decision becomes permanent. The 26-year-old is entering the final year of his deal with a $5.75MM cap hit. He has posted at least 72 points in each of the last five seasons and projects to be the top pivot available if he hits the open market. As a result, there’s a good chance that the Stars will need to pay Seguin around what top winger Jamie Benn is making ($9.5MM) if they want him to put pen to paper on a new deal early. While Colton Parayko was involved in a lot of trade speculation this offseason, Jeremy Rutherford of The Athletic reports (subscription required) that the Blues had no intentions of moving him. The 25-year-old has shown flashes of dominance over the first three years of his NHL career but has also left many wanting more consistency. He’s signed at a $5.5MM AAV for four more years which is a good price for a top-four defender so it’s certainly understandable why St. Louis is looking to hold onto him. Avalanche prospect Sampo Ranta has committed to Minnesota of the NCAA, Mark Divver of the Providence Journal reports (Twitter link). The winger, drafted in the 3rd round (78th overall) back in June, was originally supposed to play at Wisconsin but a snag in the admissions process resulted in him requesting to be released from his National Letter of Intent. Now, he’ll suit up for the Gophers, who lost one of their top players from last season to the NHL in Sabres center Casey Mittelstadt. Winnipeg Jets defenseman Jacob Trouba was awarded a one-year, $5.5MM contract from an arbitrator, according to Elliotte Friedman. The deal is an even split down the middle as the Jets submitted a $4MM bid, while Trouba requested a salary at $7MM. The deal is very cap friendly for the Jets who could have seen a much larger sum awarded to Trouba. The Athletic’s Sean Tierney reports that the salary comparisons included Duncan Keith, Andrej Sekera, Tyler Myers, Justin Schultz, Colton Parayko and Jeff Petry. Now with the deal complete, the Jets must turn their attention to their other restricted free agents. The team still has to deal with Brandon Tanev, Marko Dano, Tucker Poolman, Josh Morrissey, Nicolas Kerdiles, Eric Comrie, Nicolas Petan and J.C. Lipon. With the Trouba deal, the team will have less than $13MM in cap space to lock them up. However, that number will be reduced even further once performance bonuses have been added into the cap, making it closer to $9.3MM. Regardless, the biggest concern was Trouba’s deal, which the team has 48 hours to accept it (which they will) or allow him to walk away now as an unrestricted free agent. While this relieves immediate pressure, the one-year deal suggests the team must go through the same process once again next season as he will be a restricted free agent with arbitration rights for the 2019-20 season before he will become an unrestricted free agent. The team has to hope they can come to a long-term agreement at some point in the next year before losing him before the 2020-21 season. With the possibility that Trouba is not interest in signing long-term with the Jets, Trouba’s name could find itself in the rumor mill for quite a long time. The team, however, cannot talk extension until Jan. 1, 2019. Arbitration cases rarely go through the hearing stage in the NHL, so for Jacob Trouba and the Winnipeg Jets to have reached this point in their negotiations – on the first scheduled day of hearing dates no less – is a major surprise. TSN’s Sara Orlesky reports that the two sides did in fact sit down for their hearing with the arbitrator and that a decision will be handed down in the next 48 hours. The Jets and Trouba have until that decision is made to agree to a deal on their own terms, likely a long-term extension, otherwise they will be stuck with a one-year deal and have to go through the process once again next summer. So what exactly did it look like in the hearing today? Likely not what many would think. While the player and team are present during presentations to the arbitrator, neither team executives nor the player’s representation are in charge of arguing the case. The NHL Players’ Association handles the player side, while the teams use one of three lawyers to present their side: Dan Rabinowitz and Andre Nowakowski of Miller-Thomson in Toronto or Andre Lepage of BFC in Montreal. Each side makes their case based on briefs that they have previously filed to both the opposing side and the arbitrator, bringing in exhibits to support their arguments as well. The briefs contain the salary figures sought; the Jets reportedly filed at $4MM and Trouba at $7MM. It is a wide spread for the abitrator to consider and he may decide at or in between those figures. What is the content of the arguments? Also somewhat contrary to what one may think, the two sides spend little time actually arguing the merits of the player, at least in absolute terms. The backbone of a salary arbitration case is the comparable players. For Trouba, the NHLPA would generally have comparable players that make $7MM or more to show that their filing number is fair, while the team reps will use comparable players around $4MM or less to prove their value. Each side will identify strengths or weaknesses to the player and find comparables that they can use to strengthen those points. The use of concrete search criteria to choose comparable players is key and often results in both sides tweaking their criteria ever so much that it includes only player who benefit their case. There are also rules regarding the players used: they must be current contracts, they must be recent contracts, and they must be contracts signed by a player who was or would have been an arbitration-eligible restricted free agent. Any deviation from this criteria would seriously injure the persuasiveness of the use of that comparable player. Other things that cannot be considered are off-ice behavior, even including something like Trouba’s previous contract holdout, or the team’s salary cap or roster depth status, which the Jets wish they could use in this case. So who might be comparables in the Trouba case? The filing numbers for both sides suggest that there could be a wide range of possibilities. Using only the most basic metrics – games played and points-per-game – players like Justin Schultz, Colton Parayko, and Tyson Barrie lie right in the middle of the two values at $5.5MM and either side might struggle to use them effectively. Unfortunately for the NHLPA, those appear to be their best options. The case for any might be percentage of the salary cap rather than actual salary, given the major jump this off-season. Players like Torey Krug, Jared Spurgeon, Sami Vatanen and Dmitry Orlov would favor the Jets slightly more, but their home run option is likely a player like David Savard at $4.25MM. After all the comparables have been presented, arguments have been made, and rebuttals and closing comments have been heard, the arbitrator will take his time to make the decision on just how much Trouba is worth based on everything he has witnessed. During that time, the two sides – who have also been enlightened to some extent – also come back together and talk contract terms. In recent years, hearings have more often than not led to independent agreements and not official decisions. Will it be the same for Jacob Trouba and the Winnipeg Jets? We will know soon enough.